This is a beautiful book. I cried. 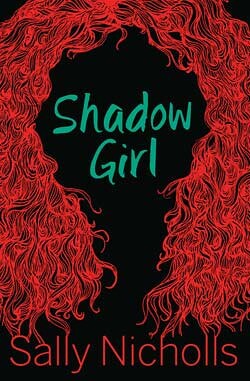 And whereas I don’t always want to keep a Barrington Stoke book after I’ve read it, Shadow Girl by Sally Nicholls will stay right here. It is that wonderful. I especially appreciate Sally naming one of her characters Maddy. Shadow Girl is about two girls in care; Maddy in a children’s home and Clare who is living with a foster mother. Both have tough lives, but feel better for having found the other. It means they have someone to talk to. Except, one day Maddy fails to turn up, and Clare doesn’t know what to do. She finally speaks to her foster mother about it, and her life changes radically. You just have to love Shadow Girl. This entry was posted in Authors, Books, Reading, Review and tagged Barrington Stoke, Dyslexia, Sally Nicholls. Bookmark the permalink. You had me at cry. Just ordered it. Thank you. Lovely. Hope you cry too.